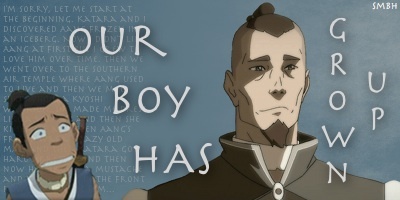 Since the "Dark Horse and Nickelodeon Releasing New ATLA Comics!" thread was getting a bit long, it's been decided to rename that one to "The Lost Adventures" and have a separate thread for discussion of the upcoming post-season 3 graphic novels, which will come out next year. And since all parts of The Promise have now gotten their own threads as well, this place will be reserved for new comic book series that might still come out in the future. So yeah, I’ve been working with Gene pretty closely on the first three books, and then we’re actually just starting to come up with ideas for the next batch of stories. But it’s been a great collaboration, and it’s nice to be able to tell some more stories in that fold, with the old characters, without having to do the entire animation part of it. I hope it is released before The Legend of Korra. I wonder if we will see any comics about Legend of Korra. Have they specified in which time it would be? ^ no, just that it is picking up where the season three finale left off. This makes me excited and nervous. I'm excited to see new material and learn what's happened. But at the same time I'm nervous as to what's happened and I really hope that I will like everything that happens especially concerning the characters. I also wonder the time frames the stories will take place in. How old the characters will be, like will it be closer to the end of ATLA or the birth of Korra or maybe spread out through the entire time frame? Idk but there are so many questions that need answering and I just hope I'm happy with all the answers that we'll get. But either way I can't wait. Early 2012? That's not bad. Maybe that's why for The Lost Adventures the release date was changed to January, like they were confused by the second one. I have a feeling that if they're more plot driven that they're going to end on a downer. ^ You never know. Im looking forward to it. I want to see Aang and Zuko rebuild the world. I think these open the door to all sorts of things, like a mini-series about Iroh or something during and/or before the war. Well, considering that the exact quote is "Picking up where the season three finale left off, this new series will follow the further adventures of Aang and his friends..." I'm thinking it's set sometime between the fall of Ozai and the death of Aang. I hope we'll finally see Zuko find his mom. That one is a gimme as far as what could possibly happen in the graphic novels. I have mixed feelings because I am not a very big fan of comics at all. I would have preferred a few hour long features. If the art is nice in these, I might buy and enjoy them. Sometimes comic tie ins have horrible art, which is what worries me. A good example is the Young Justice comic. Get Patrick Spaziante back for these comics (or someone better) and I will take it. And sometimes it's good art. 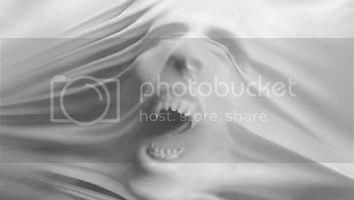 ^I'm intrested, but I can't see your picture in particular, Loopy. Edit: I just pasted the link into the address bar. Really impressive art. But would they really put that much effort into drawing the AGNs? If so I would be really impressed. ^Yeah. I was too lazy to write it out. Granted, Jan Duursema is a top talent, but Dark Horse has access to good artists, if they think ATLA merits them. Uh, Young Justice was a comic long before it was a mediocre cartoon. Anyway, I'm hoping that they're canon and more serious. I would be so glad if Patrick Spaziante did the novels. 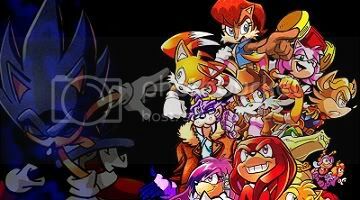 I wouldnt mind any other good person too, but Spaz did the covers of most of the Sonic the Hedgehog comic books when I was a kid, and he's a pretty amazing artist when it comes to Avatar too! As well as Zuko's mom, I hope we learn more about Smellerbee and Longshot and their whereabouts. 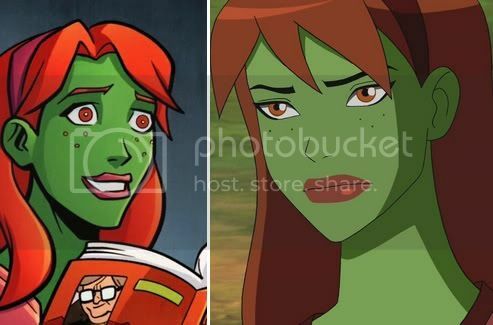 That image was from the tie-in Young Justice comic, not the original one. And the cartoon is great. I don't even. congratulations! this thread's topic was moved to the World of Avatar! you can speculate to your heart's content while you wait for their release From this moment on, use The Merchandise board only for information regarding purchasing, special offers/issues, locations offered, toys, etc. have fun! As much as I would love finding out more about the Gaang, Ursa, Azula's fate and whatever else they can come up with, I would really prefer it to be in animated form than a comic. I enjoy comics as much as the average joe (not very much, but I pick up on a few), but the reason I got into AtLA was for the spectacular work done as an animated TV show. I'm sure the Avatar staff could make a compelling story in a comic, but I just don't think it'd be as enjoyable. Young Justice is a horrible show cause all of the characters are absolutely loathsome people who I would hate to be around at any time of my life. Indeed; back in 7th grade when I was subscribed to the Sonic comics, seeing a Spaz drawn cover waiting for me in my mailbox was always a great rush. And while we'd all rather see this happen as an animated series, that all simply boils down to money. Comics are just cheaper, and a nice part is that they could make just about as many of them as they like, so long as we lap them up. 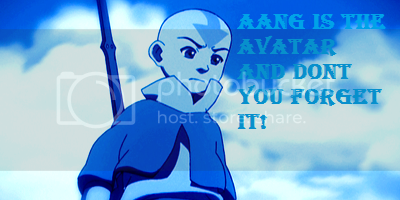 With an actual series, money, especially for a series as grand as Avatar, gets in the way.